A full menu of specialized products and services are available to our Corporate & Institutional clients, which provide a complete line-up of data and voice solutions, specialized IT, networking services and comprehensive management tools. Our solutions are available to clients in the District of Columbia, Hawaii and the 48 contiguous states. The professional team of professional experts at STK Networks, all the way from our project managers and engineers to our customer care agents, are dedicated to helping each and every customer to create and effectively manage a truly custom telecom solution. Our knowledge of the operational, regulatory and technical requirements faced by clients working within these industries allows us to design powerful, intuitive and efficient solutions. Live ticket submission, account monitoring, detailed reporting and streamlined invoicing help to boost productivity and provide our clients with a transparent, pro-active network of professional team members via our web-based management portal. Our clients can establish custom coding conventions that can be structured by store number, location, G/L or any other variable imaginable. In addition, we will provide customized permission levels and account views that will help our clients to view critical data in real-time throughout every location in the company. Designing a comprehensive infrastructure for each unique client’s needs also includes the development of telecom savings measures that will help improve cost-efficiency and sustainability throughout the term of the contract. Our corporate telecom customers benefit from our relationships with Incumbent Local Exchange Carriers (ILECs), which provides us with the ability to gain access to equipment and telecom services at extremely competitive rates across the board. 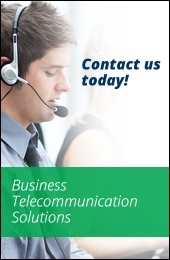 Those savings are passed on to our clients to help them cut telecom costs. Our clients increase cost-effectiveness from the very beginning by sourcing all of their custom telecom services through STK Networks as a single provider and through the use of our web-based management portal. The detailed reports and transparent data help to provide our clients with all the tools they need to increase telecom savings and boost productivity. The team of project managers, designers, engineers and customer care representatives that are assigned to each client are experienced and specialize in working with corporate & institutional solutions. Each team member is committed to developing specialized telecom solutions that will be compatible with our clients’ existing management systems, procedures and processes. Each client works with a dedicated project management, engineering and customer care team. The technical design and overall management of each account is customized to develop an intuitive telecom infrastructure that will help each client to achieve their goals. The solutions we provide are strategically developed to work optimally for our Corporate & Institutional clients to experience top notch service and results. Our professional, experienced customer care and project management teams provide each client with superior support. Our dedicated client representatives are available 24/7/365 via our web-based management portal or through the use of a custom toll free number with direct access.